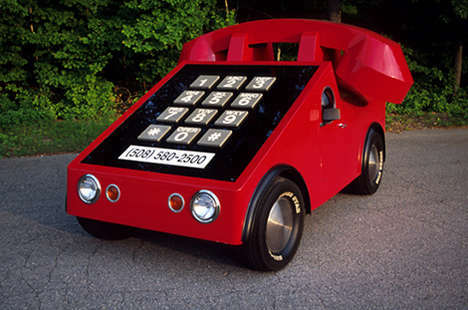 Tired of people laughing at your smart car? Why not run over them in your Monster Smart Car? This is a concept straight from Daimler Chrystler. 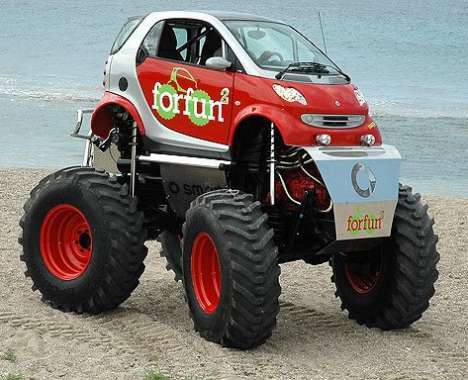 Giz Magazine describes, "The smart forfun, a smart forfour with monster truck ambitions, caused quite a stir at the Athens Motor Show in November 2005. 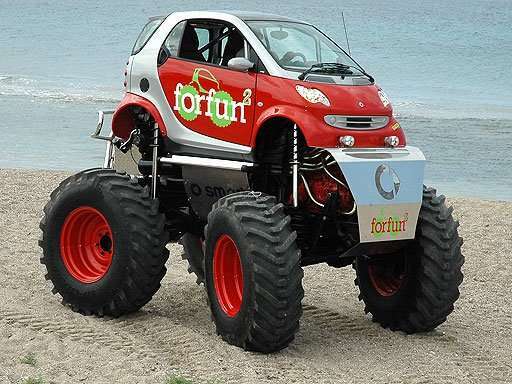 Following the extremely positive response to this, Greek 4x4 Rally Race Champion, Stefan Attart, decided to take it one step further and used a smart fortwo as the basis for his monster, with the mechanicals coming primarily from a Mercedes-Benz Unimog 406 series."